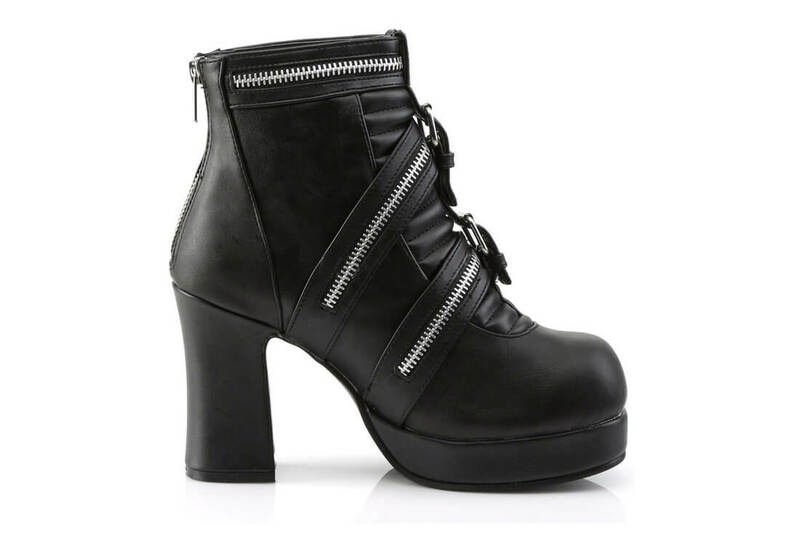 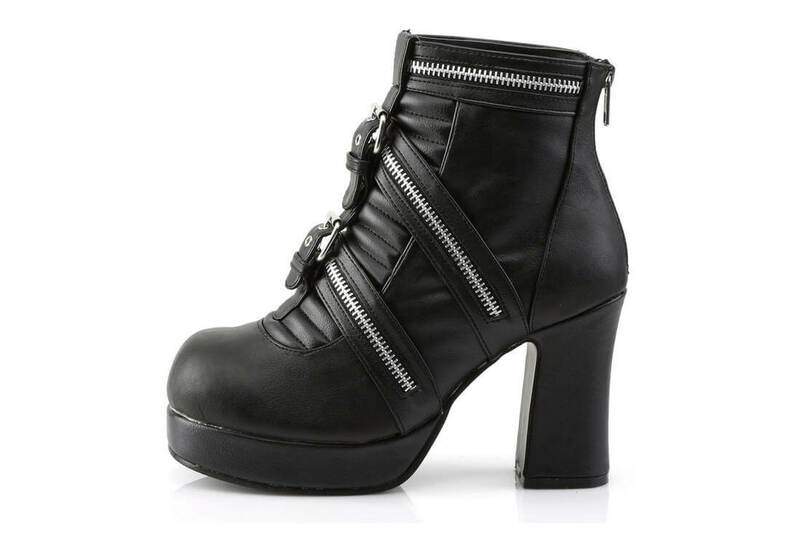 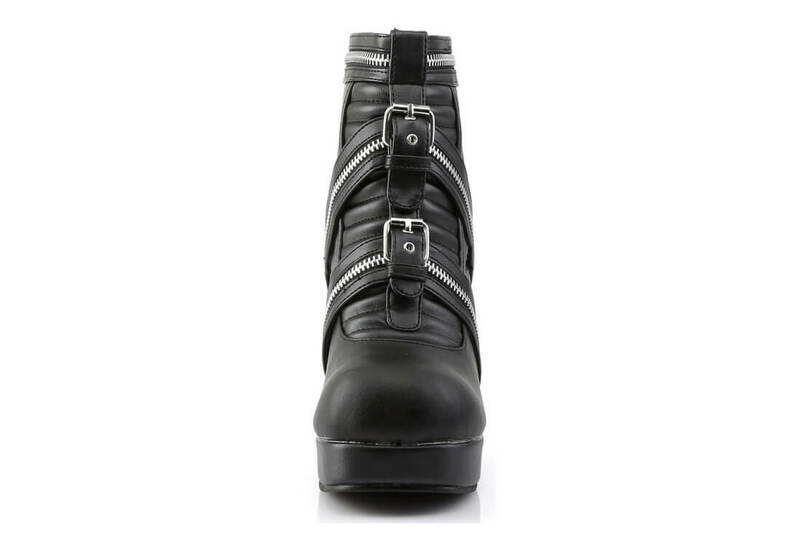 3 3/4 inch block heel ankle high black vegan leather platform boots with a 1 inch platform. 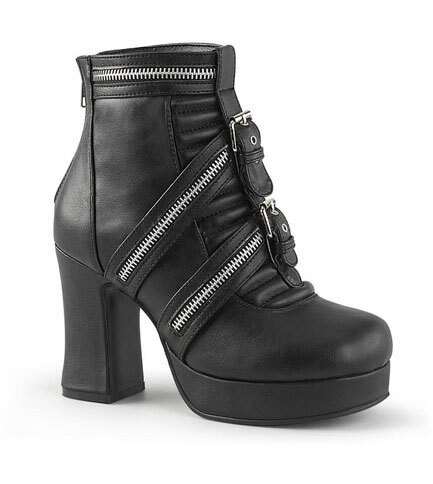 Features three zippered straps and two buckled strap center front. 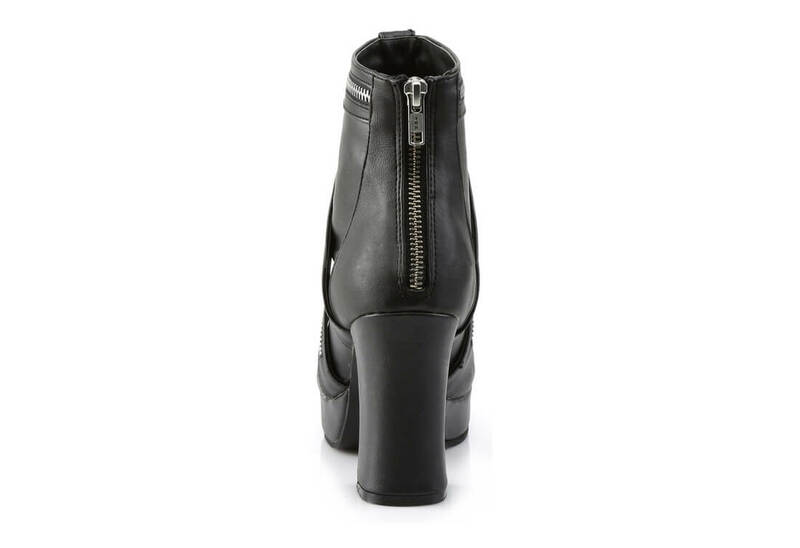 Comes with a back zipper closure.